This article is devoted to those our readers who are still searching high-quality durable cooler with outstanding features and reliable manufacturer. Here we are going to consider the best representatives of Grizzly line coolers and help you to make a final choice. 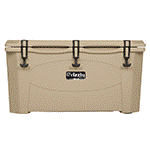 So, welcome to our list of best grizzly coolers for sale! There is a great variety of coolers available almost in each big store. But how to choose among them only those one, that you really NEED? Firstly you should decide for how long period you are going to use it. If you need a cooler for some-hours picnic or outdoor party, then almost every option will suit you, but if you need something more qualitative with longer ice retention period, then you will need one of the premium-class rotationally molded coolers, for example Grizzly coolers. Each Grizzly cooler is created with using of rotationally molding technology which means that you will get the highest-quality cooler with the extremely long period of ice retention. 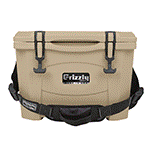 Available Sizes of Grizzly Coolers. 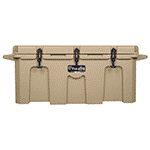 The manufacturers of Grizzly coolers boast of the wide variety of available sizes. And this is actually so, you can choose a smaller cooler which easily fit the back seat of your car, as well as you are able to choose some bigger which will suit bed of your truck. We have prepared for you a short list of sizes available. You can put in this smallest option among all Grizzly coolers up to 5 Pounds of Ice and (15) 12 ounce cans. The dimensions of this cooler are: 18 ¾” x 11 3/8” x 14 3/8”. Next bigger option of Grizzly coolers is G20, which is able to hold up to 5 Pounds of Ice, and (24) 12 ounce cans. The dimensions of this cooler are: 20 ¼” x 14 ½” x 14 ¼”. The next representative of Grizzly coolers can hold up to 10 Pounds of Ice and (66) 12 ounce cans. The dimensions of this cooler are: 25 3/8” x 16” x 15 3/8”. 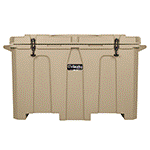 The middle position among all available sizes of Grizzly coolers is occupied by G60. It can hold up to 20 Pounds of Ice and (72) 12 ounce cans. The dimensions of this cooler are: 30 3/8” x 17 3/8” x 17 ¼” making it a nice mid-sized cooler. The line of the largest Grizzly coolers is headed up by this option. G75 cooler can hold up to 20 Pounds of Ice and (84) 12 ounce cans. The dimensions of this cooler are: 33 1/8” x 17 ¾” x 17 7/8”. Next large cooler in our list is G150. This cooler can hold up to 30 Pounds of Ice and (144) 12 ounce cans. The dimensions of this cooler are: 48 ¼” x 23” x 19 ¾”. And finally the largest Grizzly cooler is G400. This giant can hold up to 60 Pounds of Ice and (504) 12 ounce cans is the G400. The dimensions of this cooler are: 54 ½” x 31” x 31 7/8”. The variety of available Grizzly coolers sizes really makes an impression. By choosing from the smallest (G15) to the largest (G400) option you will definitely pick up the necessary size. Essential Characteristics of Grizzly Coolers. Modern coolers such as green, white tan, sandstone, tan with graphics, and others. A Little Bit from the Users’ Reviews. Many users affirm that the ice retention period has pleasantly surprised them. They write that coolers are able to hold an ice up to week or even more. People appreciate Grizzly coolers for their quality and durability and say that Grizzly coolers are cheaper than other coolers with the same characteristics but more famous brands. One of the users affirmed that his cooler hold an ice during five days even while standing under the sun. Another user wrote that his cooler still had an ice after seven-day trip while being in his truck. 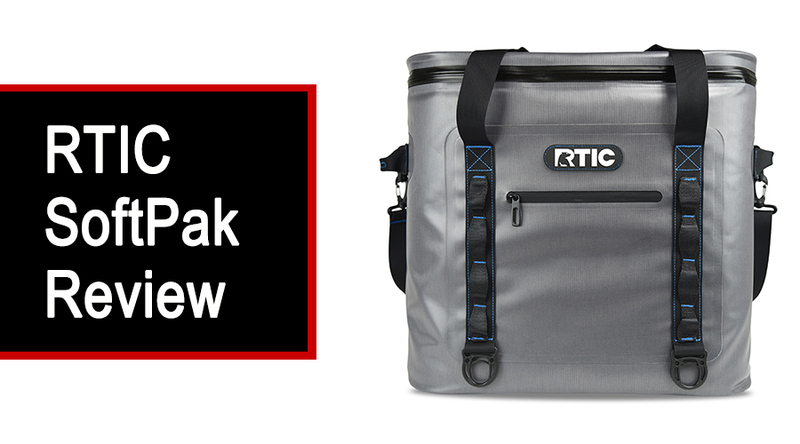 Grizzly Coolers or Yeti: Who is the Winner? Every one of our readers has its own opinion that is based on their preferences and tastes, but because of the fact that this question is asked very frequently we have decided to add this paragraph in our article. 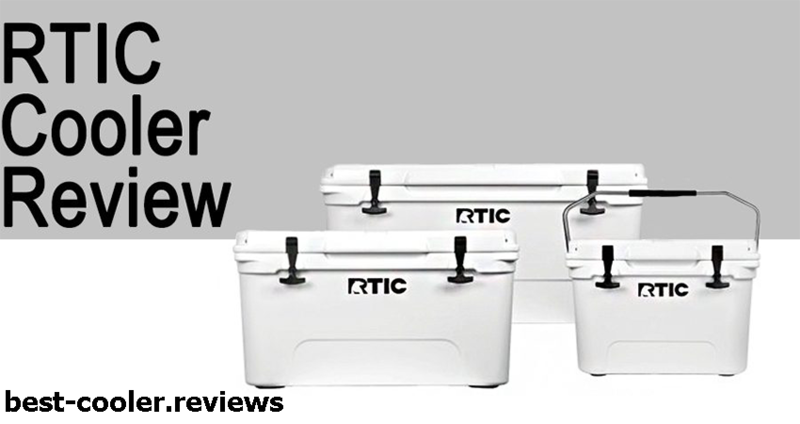 Let’s consider which one of the Grizzly and Yeti coolers is better and why. 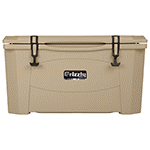 One more feature that distinguishes Grizzly and Yeti coolers is their price. The price of Yeti coolers is much higher in comparison with Grizzly coolers, while the majority of their characteristics are the same. Taking into account all these differences we decide that…the winner is Grizzly coolers lineup. We have made this decision mainly due to the price difference. It is senseless to overpay for the similar characteristics only because of different labels on your cooler. 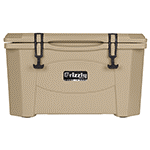 TO make sure you can follow the next link and read about the latest Grizzly coolers prices here, on Amazon. Where can I Buy My Grizzly Cooler? 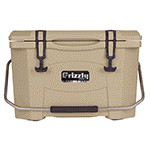 There are many different sources that offer Grizzly coolers for sale. The safest variant is of course to buy it from the official Grizzly website. But if you want to save your money, the cheapest variant is to purchase it from Amazon by this link Grizzly coolers Amazon page. On the Amazon you will be able not only to purchase your Grizzly at a tempting price, but also look through all available sizes and colors, and read reviews from other users. As a conclusion we want to say that if you are looking for the multipurpose-cooler with premium characteristics and adequate price, than you will be fully satisfied with one of previously mentioned Grizzly coolers. These high-end coolers provide you with long duration of ice retention period, durability and modern stylish look. One of the most attractive features that Grizzly coolers have is their lifetime warranty and that they are certified bear resistant. You can take them to your next trip wherever you go and don’t worry that they will let you down in the most inappropriate moment. Of course it is your own final decision and it is up to you whether buy Grizzly coolers or not, but basing on the thousands of positive reviews from the users all around the world we can make you sure that if you choose your cooler among Grizzly lineup, you will not never regret about this choice. For more information you can check this one out.